A deluxe suite. All photos courtesy of Corso 281 Luxury Suites. 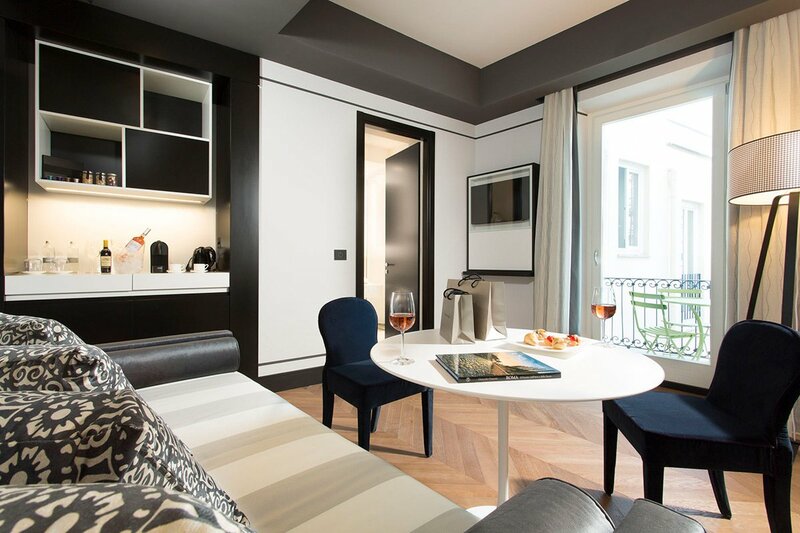 Overlooking bustling Via del Corso and Piazza Venezia in the heart of Rome is a quiet bolthole that strikes an artful balance between old and new, much like the ancient metropolis around it. 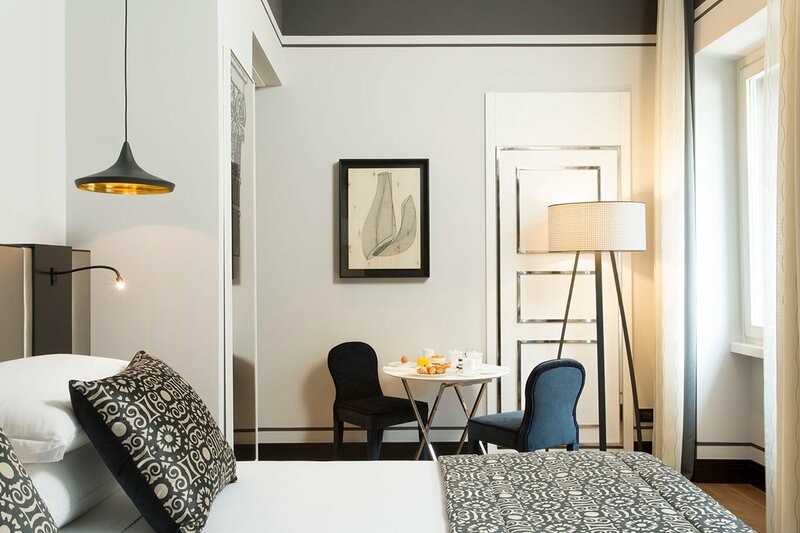 Corso 281 Luxury Suites, a thoughtfully composed, family-run hotel, combines sleek contemporary design, personal service, and an air of privacy in a collection of apartment-like suites in an 18th-century palace a short walk from the city’s major historic attractions. Imagine yourself sipping a glass of wine handpicked by the owner while gazing down at the shops after a long day of sightseeing, and you’ll get the appeal. Via del Corso approaching Piazza Venezia. 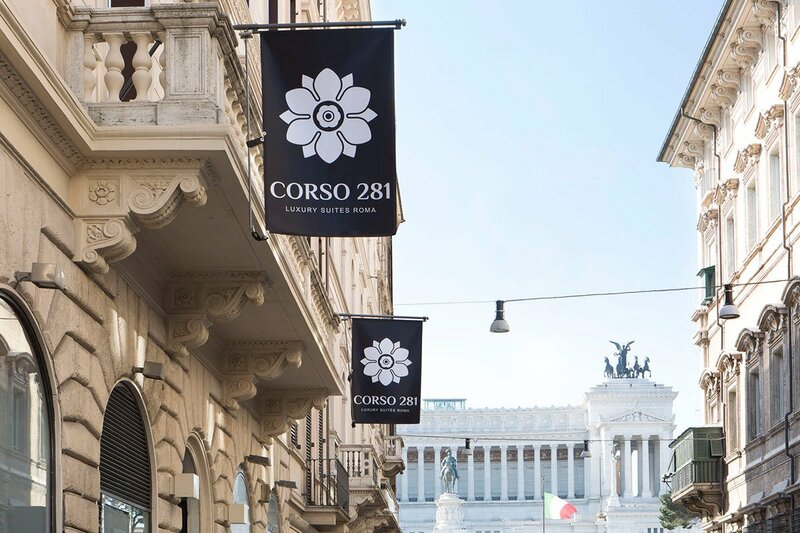 The palazzo that houses Corso 281 Luxury Suites. Vibe: Like staying at a friend’s luxurious pied-à-terre — if your friend happened to live in an updated 18th-century Roman palace. Standout Detail: 24/7 home assistants who tend to your every request, from customizing your mini bar and mattress selection to recommending restaurants and organizing specialty tours of the city. 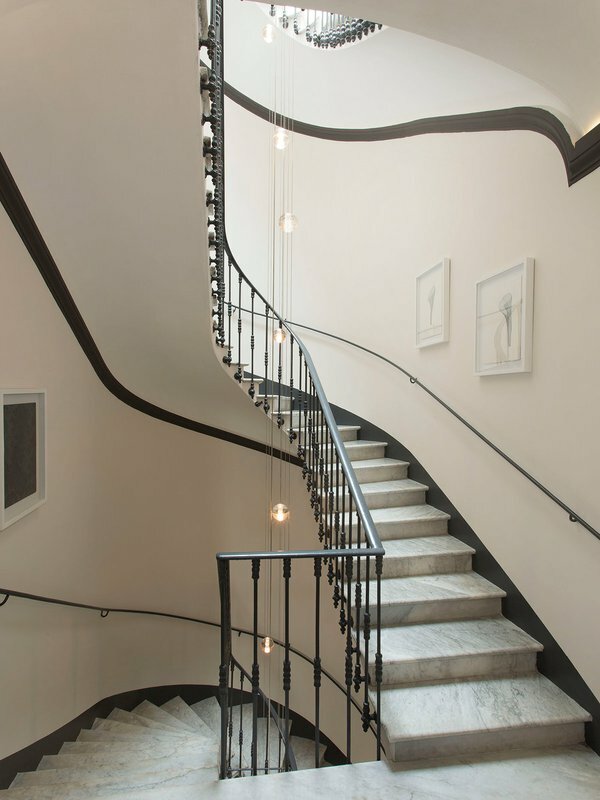 This Place Is Perfect For: Sightseers who want a high-end, private apartment in the middle of it all. 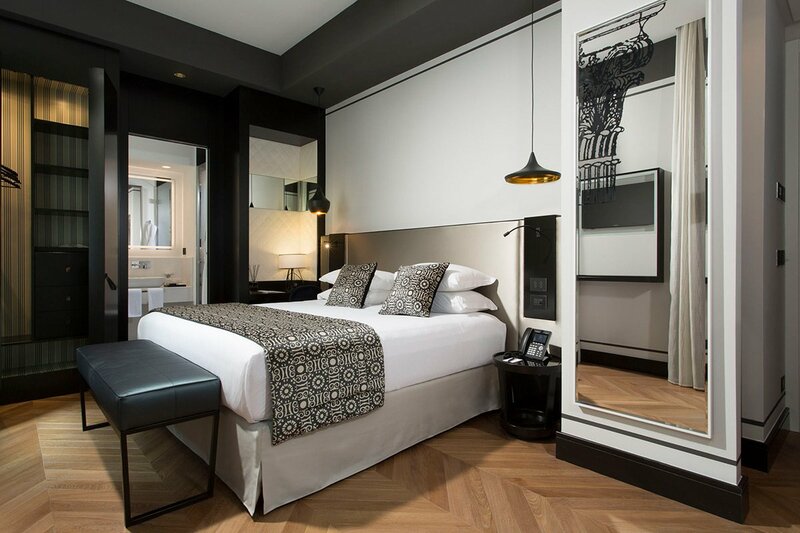 Rooms: Twelve bright and spacious suites are decorated in a clean palette of black and white, with king-sized beds, custom mini-bars, Carrara marble bathroom countertops, Bulgari toiletries, and rotating works of contemporary art curated by local gallerist Giacomo Guidi. 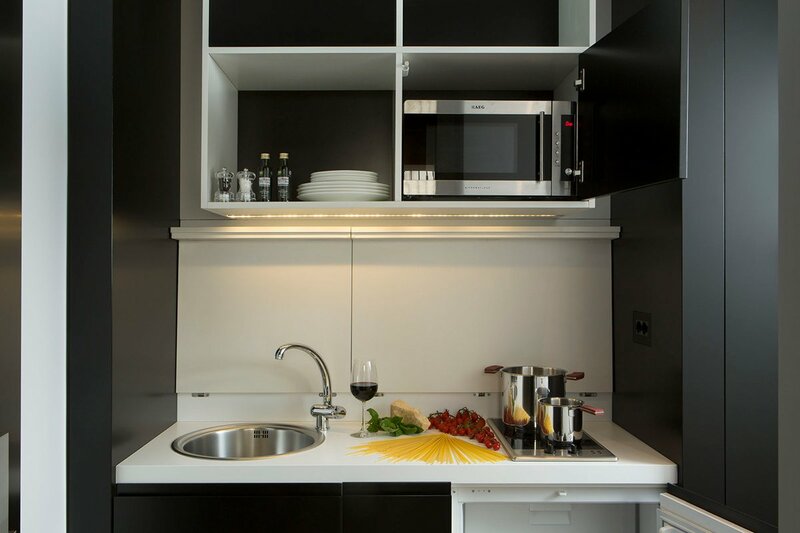 Executive and luxury suites come with kitchenettes. Luxury suites have balconies and two bathrooms, one with a large marble tub. On Site: Free WiFi, a 24/7 concierge, garage parking nearby, and an elevator for those can’t climb the hotel’s beautiful winding staircase. Food and Drink: The hotel has 24/7 room service and can deliver breakfast to your room every morning. You’ll have to head out for lunch and dinner, but, this being Rome, that certainly isn’t a bad thing. Via del Corso is a thriving (and sometimes throbbing) street heavy with pedestrian traffic in the historic center of Rome: Walking a few minutes in any direction will be a spectacle. The hotel is located right off Piazza Venezia, whose attractions include the iconic Altar of the Fatherland, also officially known as the National Monument to Victor Emmanuel II, the first king of Italy (and known by locals as "the typewriter") as well as the , which showcases decorative and applied arts from the Middle Ages and the Renaissance. The Roman Forum complex, including the forum ruins, the Arches of Titus and Constantine, the Capitoline Museum, and the Colosseum, is just south of the piazza. 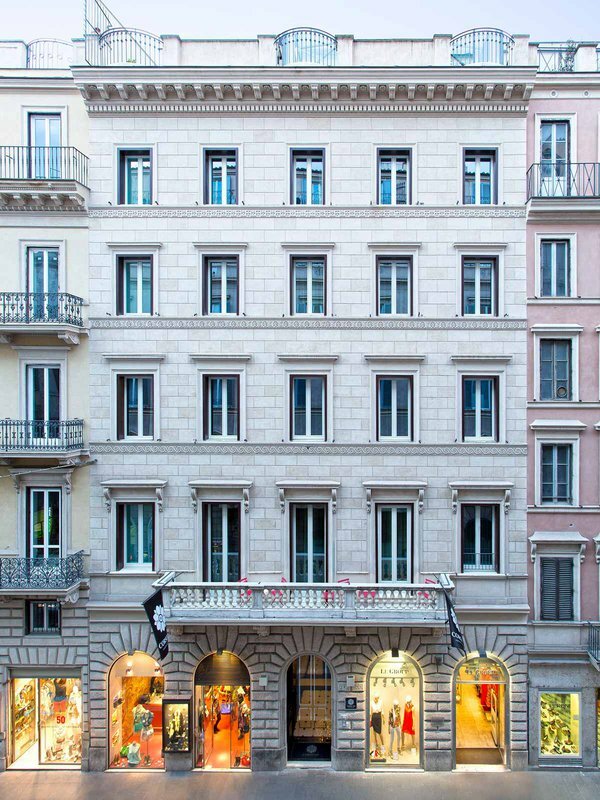 The gallery of , directly across the street from the hotel, is home to a private collection of masterpieces (Titian, Raphael, Caravaggio) that would rival that of any museum. The trompe-l'oeil ceiling of the must be seen to be believed (and you still won't believe it). The in the same piazza is about as local as restaurants get. And we love aperitivo hour at in Piazza della Pietra, coffee at , and gelato at .